Connect with other Messy Churches across the USA! Now is the time…to register your Messy Church on the Messy Church USA Network! Our mission at Messy Church USA is to equip local churches to start, sustain and connect Messy Churches across the USA. In order to connect, we need you to register to become a member of the Network. It should only take a few minutes on the website to choose one of three options to officially become a member. We have set up a yearly renewable registration to keep our data base up to date. Our goal is to make sure that EVERY Messy Church within the USA can join the network and be represented on the Messy Church USA website directory that is coming soon. Learn more about the benefits of each level on the Membership page of website. In the six months that we have officially been an organization, it has been amazing to learn about all the great Messy Churches that are thriving in the USA and also those who are just getting started. God is doing a great thing in and through Messy Church to share love and grace to new people in new places! We have just begun our work to equip local churches and we need YOU to register! To fulfill our goal to equip and connect local Messy Churches we need to have your information to connect you with each other and with our fantastic regional coordinators and trainers. Our all volunteer Messy Church USA Board met in person for the first time on February 19th at the home of Rev. Nicole Reilley in California. We had a great time growing as a team, clarifying our mission and setting goals for our future. As a group, we affirmed that we are to be instruments attuned with Creator God who is breathing life into the global movement of Messy Church. 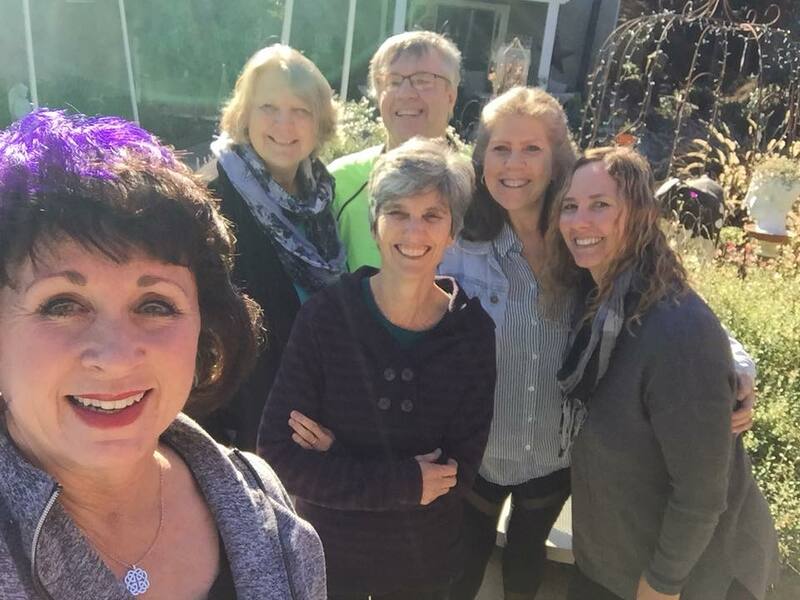 We took a break for a selfie, from left to right: Nicole, Roberta, Lynn, Marty, Julie and Leyla. Look for an upcoming March Newsletter and blog posts introducing each of our regional coordinators!